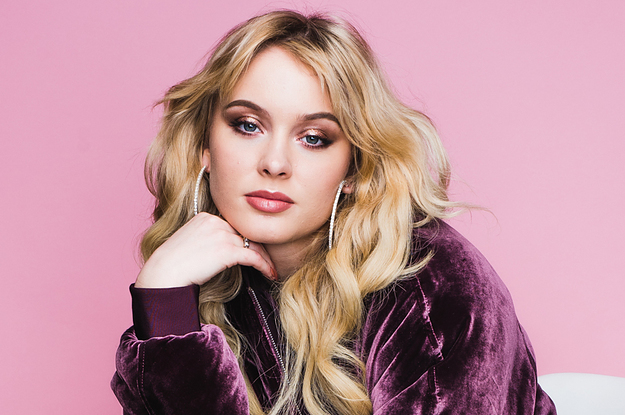 The Swedish pop sensation Zara Larsson is still only a teenager, but she has already managed to sell out Glasgow’s O2 Academy on her first gig in the city. The venue is packed with her young fans, many of them wearing Larsson’s trademark diamond choker, which Larsson herself is wearing tonight. Larsson is, of course, so much more than the shiny accoutrements that come with being a pop star. An outspoken feminist, Larsson is a frequent commentator on social issues, and her raison d’être is about owning her sexuality on her own terms. In that sense, she seems a natural successor to Rihanna; Larsson’s vocals also happen to resemble hers. Larsson bursts on stage with her backing dancers to perform ‘Never Forget You’, but it is the hypnotic, pulsing ‘Girls Like’, Larsson’s hit with Tinie Tempah, that really gets the party started. Larsson and her dancers bring an incredible energy to their choreographed routine. ‘Make That Money Girl’ is more mellow, but still upbeat with its girl power theme: “Why you so hesitant?/You can be the next female president”. Later, Larsson returns to dancing with the confident swagger of ‘I Would Like’ and ‘Ain’t My Fault’, two assertive club anthems that have the whole place bouncing. The titular track of Larsson’s 2017 album, So Good, is a short yet jaunty romp that is more R&B than pop. ‘Symphony’, the euphoric hit that Larsson recorded with Clean Bandit and scored her first UK number 1 single, gets a huge reception, but it is closing number ‘Lush Life’ that is the song of the evening. It’s a sugary, addictive song about living in the moment, without care: a much-needed respite for our often dark and worrying times. With her messages of female empowerment and self-love, who also knows how to put on a slick pop show and the importance of good, clean fun, Zara Larsson’s young fans could do far worse than to idolise her.